Who on Earth was Pavini? Who was the Pavini of Mrs Beeton’s recipe ‘A Pavini Cake’? I haven’t a clue. I tried searching Google for hints, but all I found was a vague reference to a 19th century opera world gentleman by the name of Signor Pavini (http://www.archive.org/stream/irishnationitshi08willuoft/irishnationitshi08willuoft_djvu.txt). Was this the elusive ‘Pavini’ who inspired Mrs Beeton? I wonder. INGREDIENTS – 1/2 lb. of flour, 1/2 lb. of ground rice, 1/2 lb. 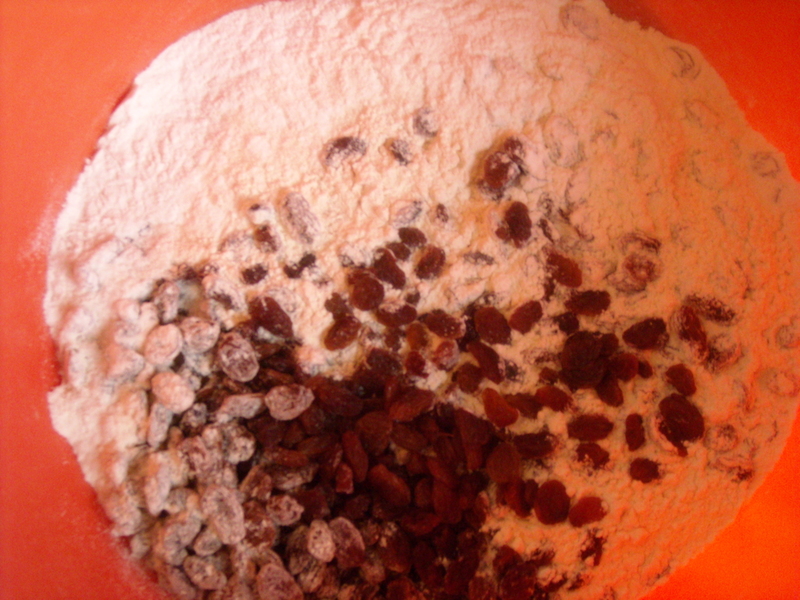 of raisins stoned and cut into small pieces, 1/4 lb. of currants, 1/4 lb. of butter, 2 oz. of sweet almonds, 1/4 lb. of sifted loaf sugar, 1/2 nutmeg grated, 1 pint of milk, 1 teaspoonful of carbonate of soda. Now that the weather is finally warming up here in Germany, the ever-popular pubic flea markets are beginning to make their welcome appearance around town. 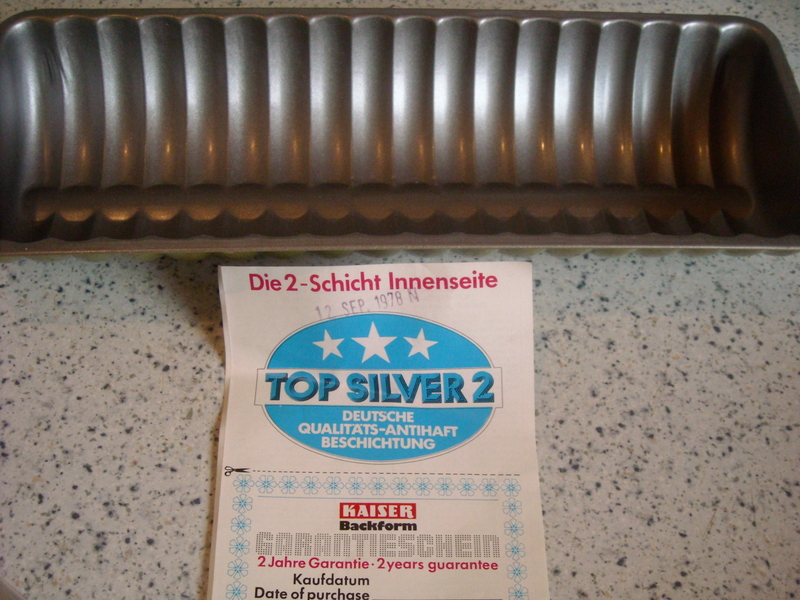 We went to one yesterday, where a rather eccentric stall holder finally allowed me to purchase a half-round loaf pan (‘Made in West Germany in 1978!’ after unsuccessfully trying to convince me that I might like to buy all his other cookware as well. What better way to try it out than to use it for a Mrs Beeton recipe? I had every ingredient to hand except the almonds (and I assumed that ‘ground rice’ = rice flour). But, it being Sunday, the shops are closed here and I had a choice between waiting until Monday, or pressing on without them. I was hungry. Option one it was, then. I had a pack of raisins in the store cupboard, so I use these instead of fresh raisins and currants (with the hope that this will be a reasonable substitute). This is a slightly vaguely written recipe, I have to say. ‘Melt the butter to a cream’ – it’s either melted butter or it isn’t, I would have thought? Also, she doesn’t mention if all liquids should be combined together first, or even when the dry mix gets added to the liquid at all. I can only assume this was one of those recipes she copied from another author and inserted into Household Management without thoroughly checking it for clarity. However, once you’re aware that it’s incomplete, the steps are easy enough to figure out. Firstly, I made the two separate liquid mixes as instructed, then I combined them, then added this combined liquid directly to the combined dry mix. 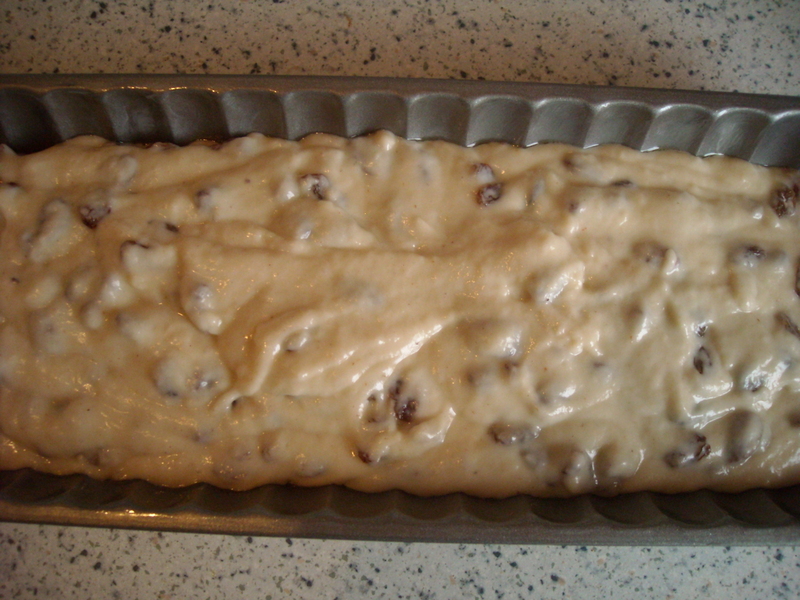 Without the almonds, the mixture was rather runny to begin with, so I added an extra half cup of flour – problem solved. As I used a rather narrow tin, and halved the recipe ingredients, the cooking time (at 180 degrees Celsius) was reduced to approximately 45 minutes. What does it taste like? With not enough sugar to presumably satisfy the sweet tooth of my boyfriend, I admit I was worried about having to eat the whole thing myself, even before I popped it in the oven. “It’s nice,” he commented as I passed him a tiny piece of still-warm cake to try. And we found that this was so. It’s not overly sweet – it’s ‘just right. I like it. 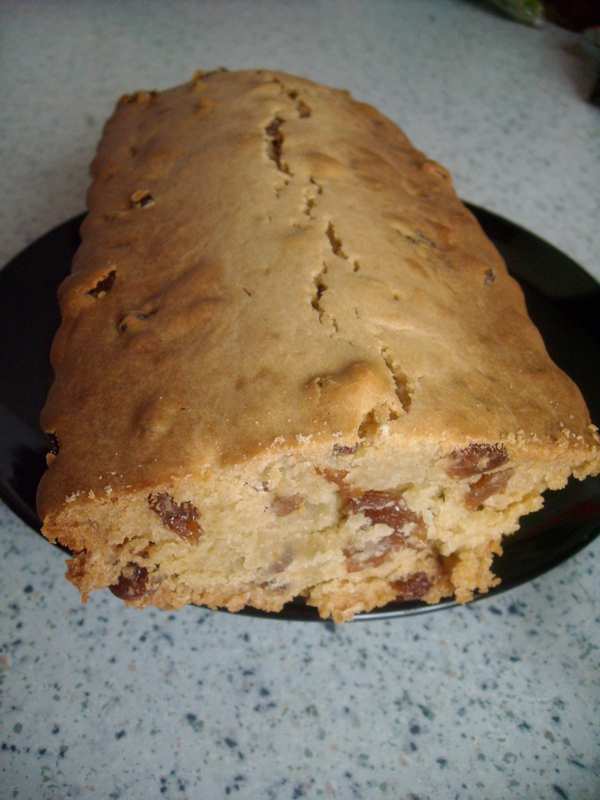 The raisins were fattened and made moist by the baking process, and their natural sweetness added to the overall taste. Undoubtedly the almonds would give it a wholly different flavour dimension, so I’ll definitely make it again some other time for comparison. I still wouldn’t mind knowing who this Pavini was, though! 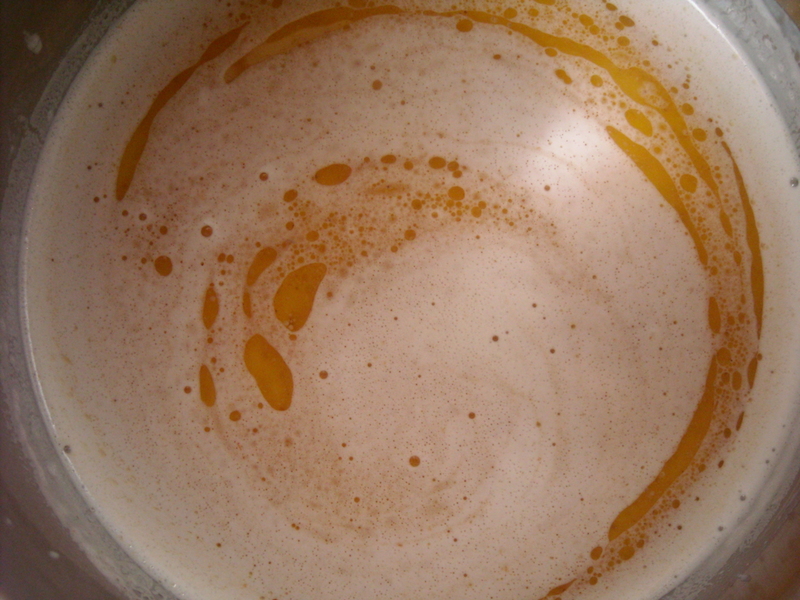 This entry was posted on March 21, 2010 at 12:58 pm and is filed under food. You can follow any responses to this entry through the RSS 2.0 feed. You can leave a response, or trackback from your own site.